The HTC Titan II showed up on AT&T’s website yesterday for $199 on contract. With yesterday being a holiday, today was the first day the device was found in most brick and mortar locations. 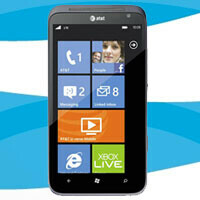 Even though it has only been a day, Walmart Wireless has already knocked the new Windows Phone handset down to $149. Marked as a “too low to show” offering, Walmart Wireless is selling the device for $549. A new 2-year commitment nets you an instant $400 off, making the brand new HTC Titan II just $149 on contract. This deal is good for both new AT&T customers and renewals. With the rate that smartphones are being released these days, you can probably save a significant amount more with a few weeks of patience, but $50 for only waiting a day after the release is pretty good. You can head on over to Walmart Wireless in the source link to take advantage of this deal. I WILL NEVER SET FOOT HERE. ITS BELOW ME. Price already dropping, not a good start for this. No ads for Titan at all, you expect it to sell well? HTC? Nokia will be the king of Windows Phone. It'll establish its own branding, beachheads and people who wants Windows Phone will go to Nokia in future. If the same thing were to be with Android, people will frequently switch manufacturers that creates "android". Just look at HTC's business that got killed by Samsung.